Google is leading search engine in whole world. You have never think to see google in mirror. 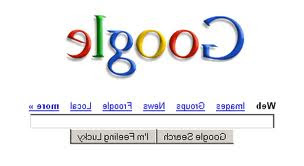 We will not going to use mirror here, then how can we see google in mirror ? Thats the case and I am going to explain you..
And you will be amazed really. This website is not related with google, but it will make you happy..
Trust me. You can also browse many fun stuff here, such as Google in water, Under gravity search and much more..